Fixing fake UFO sightings seems to work perfectly, since people really want to believe that they are “out there”. But the fact that there are thousands and thousands of false UFO sightings on YouTube and other social networks does not really help the real UFO researchers. There are a lot of images and videos that are worth analyzing and studying. Now, I have been informed of a new video that has been posted on YouTube and that, supposedly, represents the (O) famous UFO in the form of a triangle. A strange object in the shape of a triangle has been sighted near a military base in the state of Ohio (USA). An amateur ufologist (?) Published a video with a supposed triangular UFO in his YouTube account. He noted that “the object flew around the neighborhood at least three times.” However, he stressed that it was very difficult to observe due to its extraordinary brightness. Many people said, of course, that this must be extraterrestrial. Others were less convinced that it was ET and said that it was probably just a vehicle from the nearby military base. 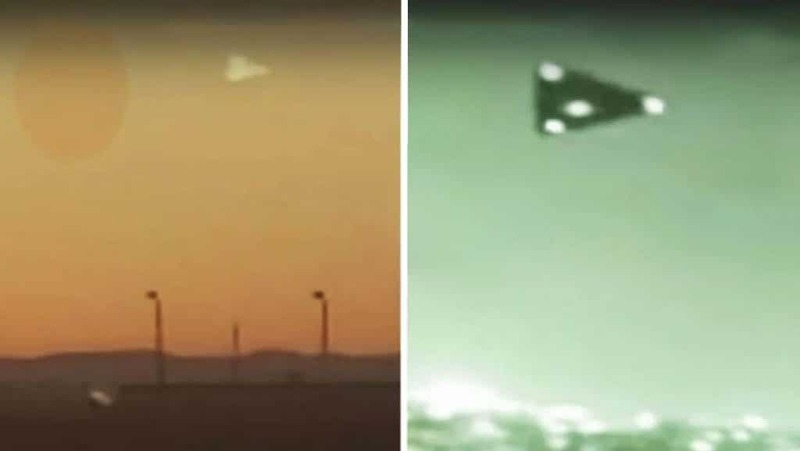 Some users commented that similar triangle-shaped UFOs have become popular in recent times in the area. But not all ‘unidentified flying objects’ are aliens. Some of them, as the definition alone explains, are not identified and, therefore, may be the result of a series of things. Some commentators in the video insisted that the objects observed in the area are no more than an experimental ship of the United States military base. According to some users, and judging by the shape and lights of the object, what the video shows is the so-called experimental ship TR-3B, an airplane whose existence has never been confirmed. The media reports on the UFO of the black triangle originally came from the United States and the United Kingdom.